You’re probably here because you’re in pain, or someone close to you is. Maybe you are unable to keep up with your kids or grandkids. Maybe you’re unable toz go grocery shopping without your back pain causing you to lean on the cart for support. Maybe you can’t take your dog for a walk around the block, because of your sciatica pain. Chances are you’ve tried everything, from pain pills, to massage, to exercise, to standard physical therapy and nothing improved your quality of life. Chances are you’ve been in pain for a long time, and maybe you’ve lost hope and feel you’ll never be normal again. The good news is that no matter what you’ve tried in the past and no matter how long you’ve been in a state of chronic pain, you’ve come to the right place. For over 15 years, Advantage Therapy has helped thousand patients just like you – not to just put a band-aid on their chronic pain, but to find the deep-rooted cause of their back pain, neck pain, migraines, and more… and correct it. Let us help you reclaim your life. Let us help you get back to playing outside with your kids. Let us help you to get biking, hiking, and enjoying the outdoors. We’re excited to meet you and to show you how physical therapy & occupational therapy at Advantage Therapy is different. Browse our website, read our physical therapists’ bios and blog posts, and like us on Facebook to get to know us even better. Call us at 417-889-4800 to schedule your first appointment. Our physical therapy and occupational therapy services are designed with the patient in mind. Our physical therapists will identify the source of your pain, work to reduce it as quickly as possible, and get you back to working, exercising, shopping, and enjoying life. Our wide range of therapy services make Advantage Therapy the first choice for physicians and patients alike in Springfield, Missouri, Monett & Ozark and the surrounding area. I was very impressed with the friendliness of everyone at Advantage! Also, Chuck was an excellent therapist, who listened to my every problem and then he was able to explain to me how we would treat it. I would definitely recommend Advantage Therapy to any one who is dealing with pain! My doctor's assistant recommended I go there (Advantage); she said Chuck is the best. I have had back problems all my life. I have tried everything; everything would help for awhile. It would hurts so bad I couldn't walk or move without excruciating pain. The first time Chuck saw me he gave me some exercises to do everyday. By the 3rd visit I felt great. I still have to be careful, but I am virtually pain free. I can walk! They are all one great team there. Chuck is the best. I still feel great. I tell everyone about Advantage! After 9 years and 5 surgeries to address my back pain, Chuck is the first person that's really ever really helped me. He's wonderful! When I started therapy I could hardly bend over or do anything. I drive 120 miles round trip to come to Advantage. In the beginning I planned on coming one time, and asking my doctor to transfer me to a physical therapist closer to my house. But, after one visit I knew that I needed to come here. I had years of pain which lead to depression with no hope of relief until my very first visit with Chuck Renner. Thank you for giving me hope! I was non-functioning and miserable when I first came to see Chuck. His therapy gave me my life back. I feel more than 100% better. After several surgeries, therapy is the only thing that has me feel close to normal. At Advantage Therapy I felt like my therapist cared about my recovery and was very helpful in supporting what I can do on my own to improve my problem. Every aspect of my treatment was excellent. Could not ask for a better group of people. I was greeted and called by name by all employees. I was made to feel at ease and welcome. After seeking treatment at various other clinics, Chuck was the first one to diagnose the issue and treat is successfully! There is no one better - trust me, I've tried MANY other places before I found Advantage! It feels good to feel well for the first time in a few years. Thank you Chuck for caring and for your expertise. Everyone treated me with respect and friendliness. The staff showed a confidence that was reassuring. Chuck's skills are amazing! I have been a patient on and off for several years for everything from pain related to broken bones, to neuropathy, to the stress of discs being out of place....The care and treatment I received at Advantage Therapy were remarkable and gave me relief from pain no one else could provide me. Chuck Renner and each member of his staff is outstanding and so friendly. Advantage Therapy is the only health care provider I actually look forward to going to if I need care!! As a retired nurse that has had a ruptured disc and surgery years ago, I've had therapist in the past but none that was as excellent as I experienced with Chuck & Tony - Excellent, gentle technique with lasting results. They could not have been more compassionate, caring, and professional; listening to me and addressing all my concerns and questions. I highly and gladly recommend Advantage Therapy! 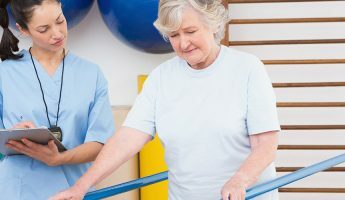 Visit our blog page to read articles and post related to physical therapy and wellness health tips. 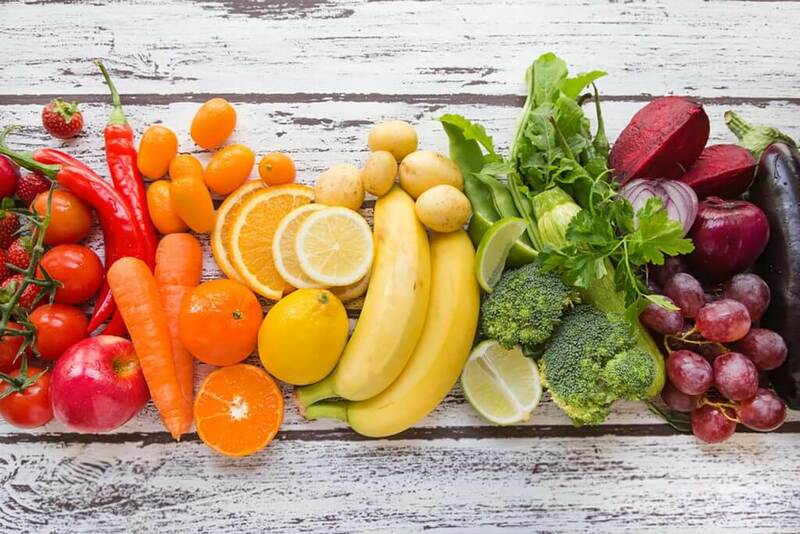 We update our blog regularly, so if you are interested in receiving these by email, then please sign up for our Health Tips Newsletter below, and we will add you to our subscriber list.